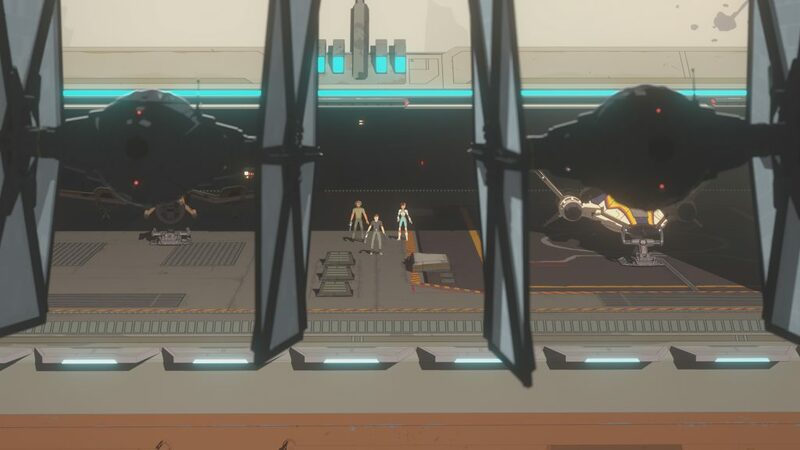 Season 1 of Star Wars Resistance concluded Sunday night in No Escape: Part 2, with our heroes hurdling through space at lightspeed to an unknown destination. Sounds very “Ezra” doesn’t it? 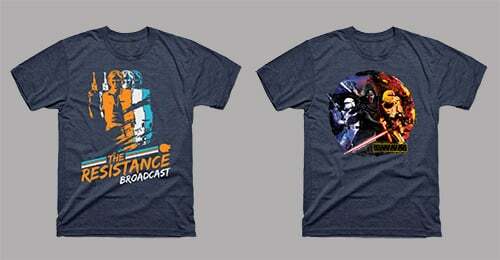 The difference being this is the end of the first season for Resistance, and not the end of the series like Rebels. I enjoyed this finale, and more than anything, I am eager as Yeager to see what happens next with this crew. The episode picks up by replaying the end of General Hux’s speech and the destruction of the Hosnian system. Kazuda’s family and friends have all perished at the hands of the First Order, but there isn’t much time for him to mourn. He, Torra, Yeager, Neeku, and crew, need to stop the First Order from completely taking over the Colossus. Star Wars is all about making a choice, what path will you choose. As George Lucas once said you can use your power for good, or use it for evil. While Tam doesn’t appear to have “powers” in the literal term, she has many talents and has chosen to use them with the First Order, regardless of Yeager’s plea and promise that they are lying to her. I have a feeling Tam may learn a valuable lesson in season 2, to what severity I am not sure. The fight in the skies! Seeing a Star Destroyer pummel the Colossus with a constant barrage of laser-fire in a sunlit setting was something I don’t think I have ever seen before, and I remember being sort of awed by the animation there. 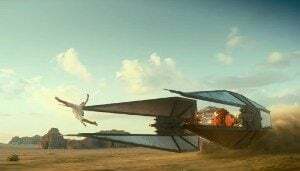 The battle between the TIE fighters and the ACES, including Kaz and his busted up tin can, definitely brought back the fun feelings, almost like how you feel when Han and Luke are taking out TIE fighters during their escape of the Death Star in A New Hope. This thing is no joke! From a rather boring stationary base to a booster weilding hyperspace traveling juggernaut, the Colossus has taken on new characteristics as we move forward, and I imagine just immediately sold a lot more future toys and playsets. Neeku, preserving the show’s level of innocence and silliness, set Kaz and crew on a lightspeed course to…well, we don’t know! This takes me to the conclusion of my review, answering the biggest question I had heading into the finale. How will they run this show alongside the events of the episodic saga films? 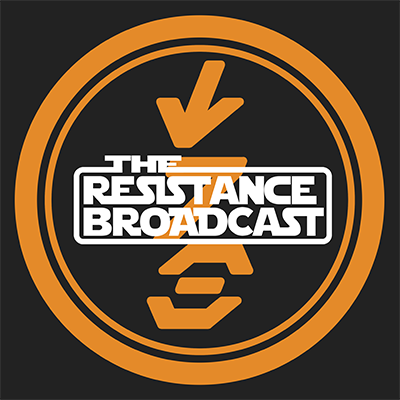 We knew that Resistance crossed paths with the events of The Force Awakens, and it quite literally did as Kaz watched the First Order destroy his home planet, and seemingly the entirety of the new Republic. This would then have to overlap with The Last Jedi‘s events, being that the film takes place immediately after The Force Awakens. So where are all of these characters when the Resistance calls for help using Leia’s signal? 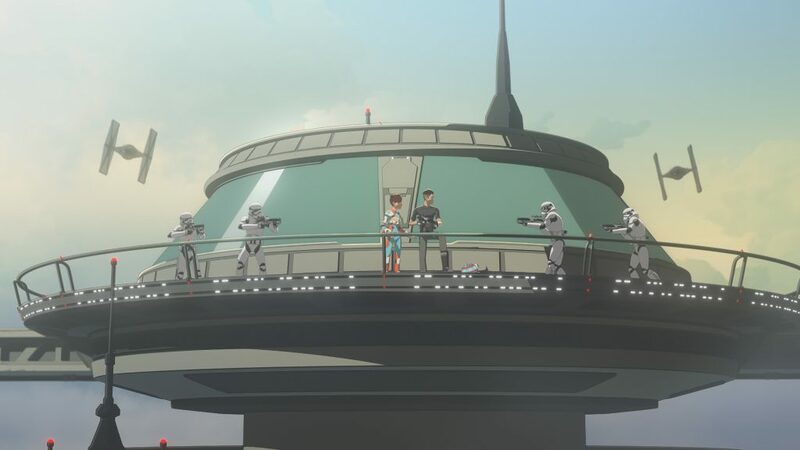 Filoni and crew have created an out for themselves, as it looks like this crew is heading somewhere far away from the conflict (at least to start season 2). The ultimate question is how far after the events of The Last Jedi does the show go? I can guarantee right now that nothing we see in season 2 of Resistance will spoil anything J.J. Abrams has set up for Episode IX, so I wonder if this crew will simply be fighting their own fight in another part of the galaxy, or if the show eventually crosses over with Episode IX once the movie comes out. It will be curious to see how that plays out. Season 2 of Resistance will likely debut this Fall just like season 1, and I wouldn’t be surprised if the first episode debuts at the Star Wars Celebration animation panel in three weeks. Either way, a show that I was not sold on through most of its first half has pulled me in, as I am quite invested in where this story goes, though as I said, I don’t see it playing a big part as a tie-in to Episode IX, at least for its first half. 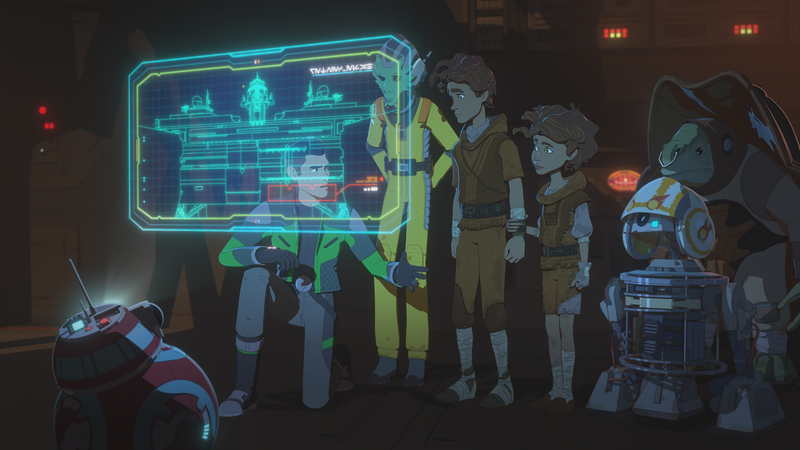 With exposition and tone-setting out of the way, and our crew collectively moving away from the same location (albeit on the same location that is now in motion), the sky is the limit for Star Wars Resistance, and I am along for the ride. 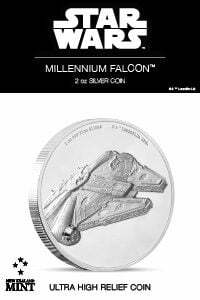 The comments section on the blog is intended to be a place for all Star Wars fans to share their thoughts, opinions, and points of view in a safe and respectful environment. While everyone is free to share, certain behaviors will not be tolerated. Any inappropriate comments or personal attacks, especially those concerning a person's ethnicity, gender, sexual orientation, or religion will be deleted. We have implemented a new system which holds every comment with foul language for moderation. Our moderators retain the ability to ban members who are clearly derailing and spamming the comments sections with unnecessary content, especially comments of offensive, abusive, or threatening nature. 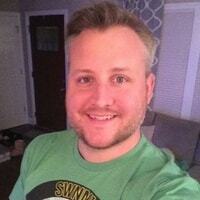 Were "fan expectations" the problem? What to do about eye rolling? Did Luke ever tell Han and Leia? Who does the movie title refer to? Imo Tfa referred to Rey, tlj to Luke, and tros refers to Kylo Ren.